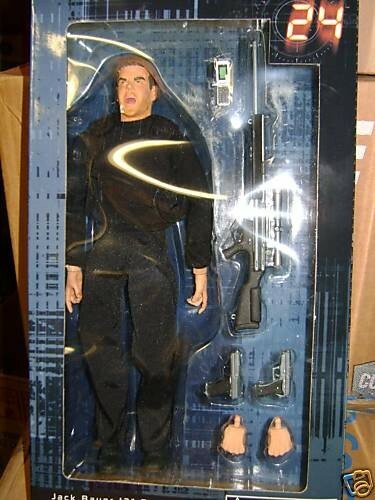 Figure comes with tailor-made and detailed outfit includes a bullet proof vest, the full set of Jack Bauer Gear including watches, USP compact hand gun, silencer, holster, flashlight and messenger bag. This figure is made of the RM-1 body featuring 15 points of articulation. The figure has 5 posing hands. Moreover, every figure is come with a FS-100 figure stand and a certificate of authenticity card. Figure is in 2009 new exclusively developed & designed packaging box set. It is head sculpt and painted by Y.J. Park.